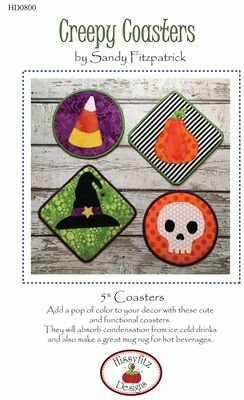 These quick and easy 5" coasters are great to, not only add a little color to your decor, but also work well to hold you're hot and cold drinks. They can absorb any condensation from ice cold drinks without leaving little puddles of water on the table. Make them for yourself or as gifts. Your friends will love them too!